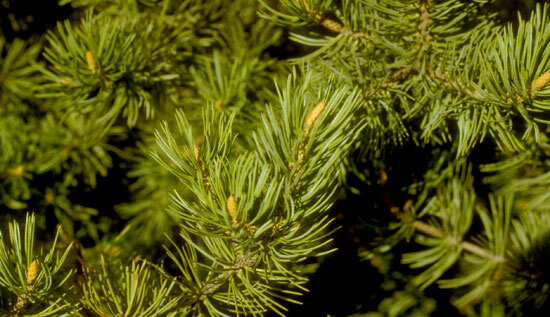 Austrian pine’s needles are always in bundles of two. The bud scales have white edges. 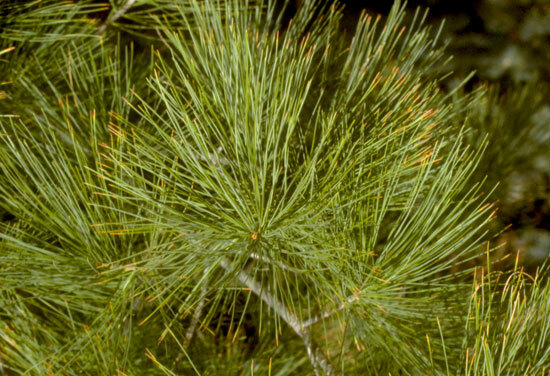 Ponderosa pine’s needles are sometimes in bundles of two and sometimes in bundles of three. 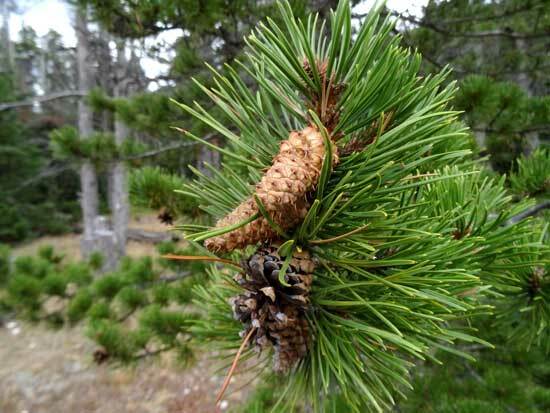 If you find bundles of three, then you have a ponderosa. The bud scales are reddish brown. 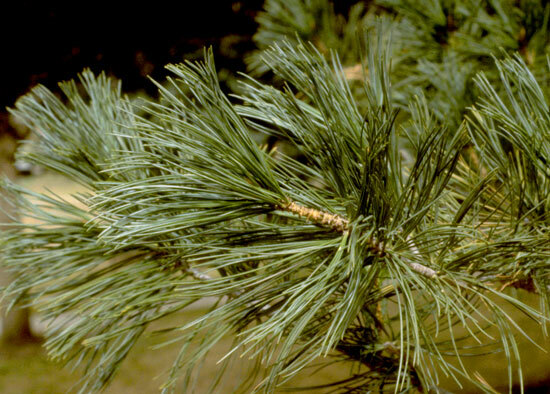 Scotch pine needles twist along their length. There are two needles to the fascicle. 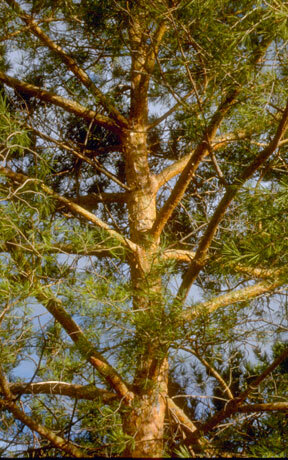 The bark is smoother than other pines and the orange color is distinctive. Often one can see green through the orange color. 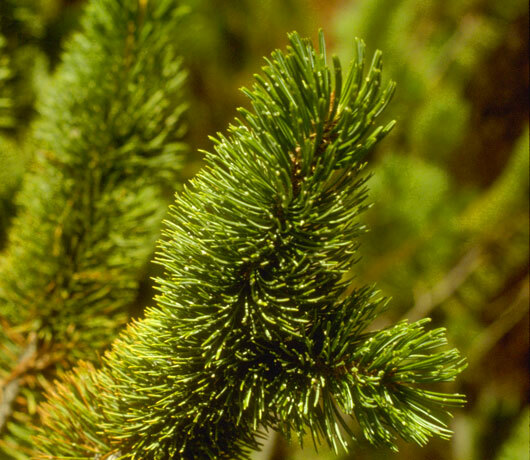 Bristlecone pines have five needles in their fascicle. 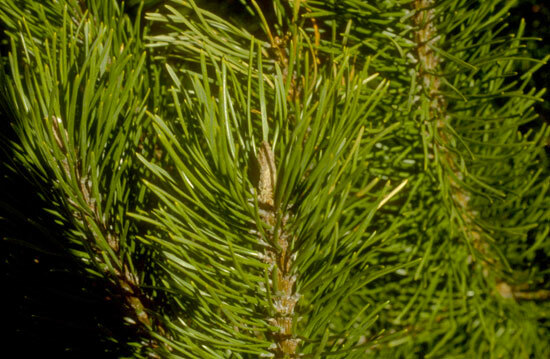 There are distinctive white dots of resin on the needles. 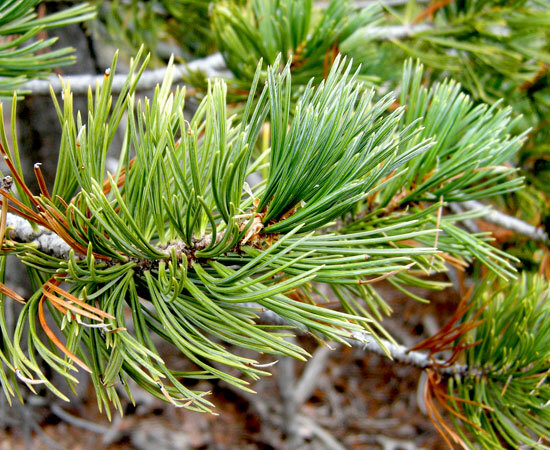 Limber pine’s needles are in bundles of Five. 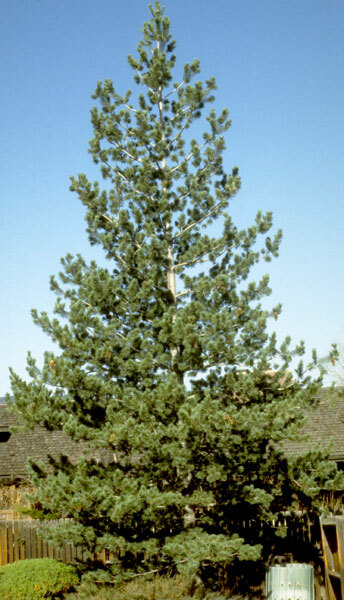 The needles are medium short and resemble those of bristecone pine except there are not the white dots. 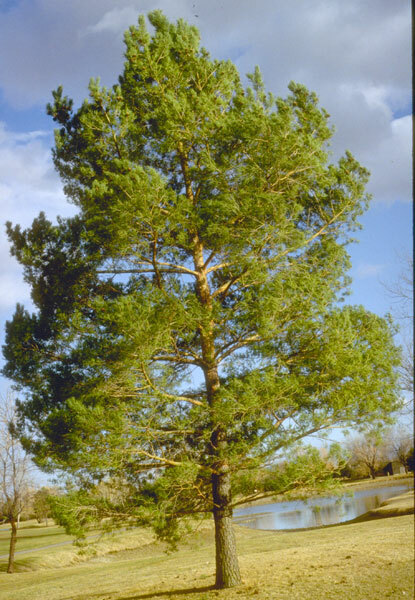 The tree gets its name from limbs so limber that they can nearly be tied in knots. 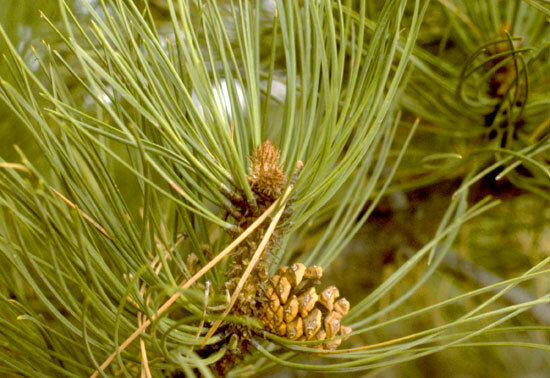 Southwestern white pine’s needles are in bundles of Five. The needles are medium length. 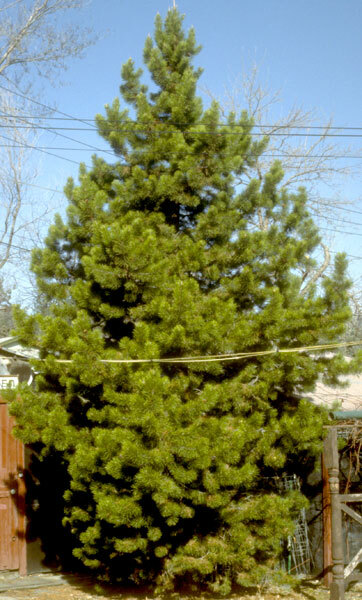 The tree is very close in appearance to the limber pine except the needles have a distictive white stripe. 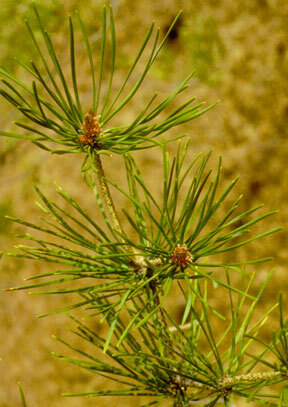 The needles are shorter and thicker than those of the eastern white pine. 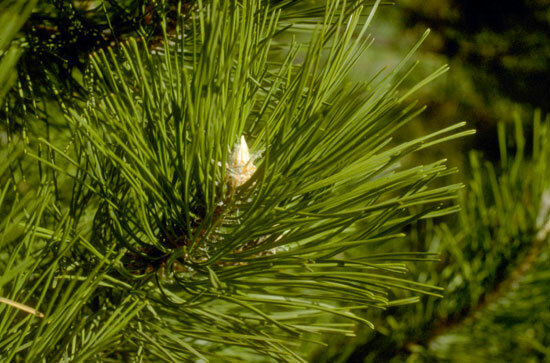 Eastern white pine’s needles are in bundles of Five. 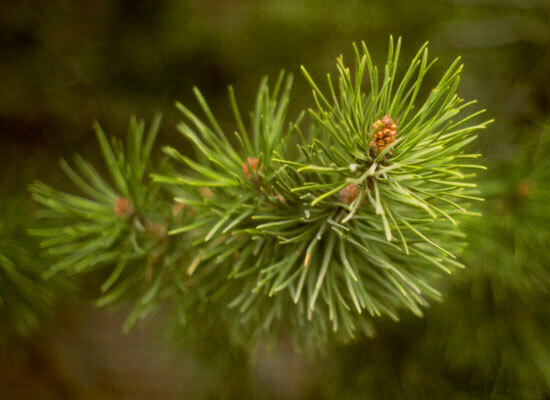 The needles are medium long in length. 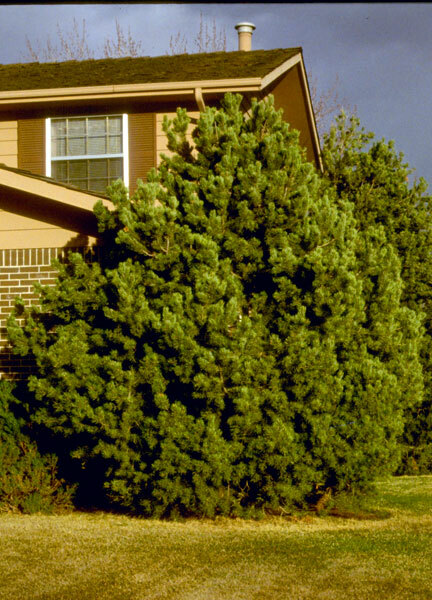 The foliage is thinner than any other pine in Colorado which gives the tree a softer appearance. 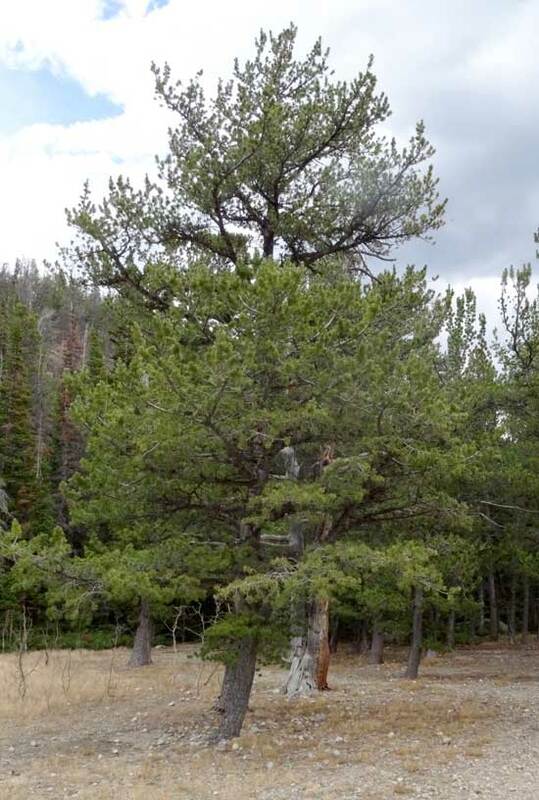 Lodgepole pines grow very close to each other in the natural forest which restricts side growth and keeps the trunks quite thin. 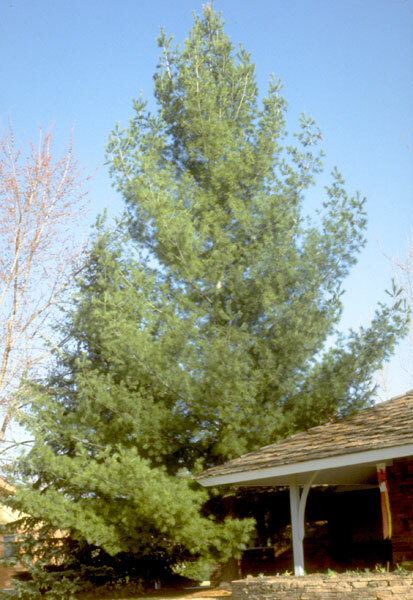 The trunks are usually bare of branching and foliage until quite near the top. 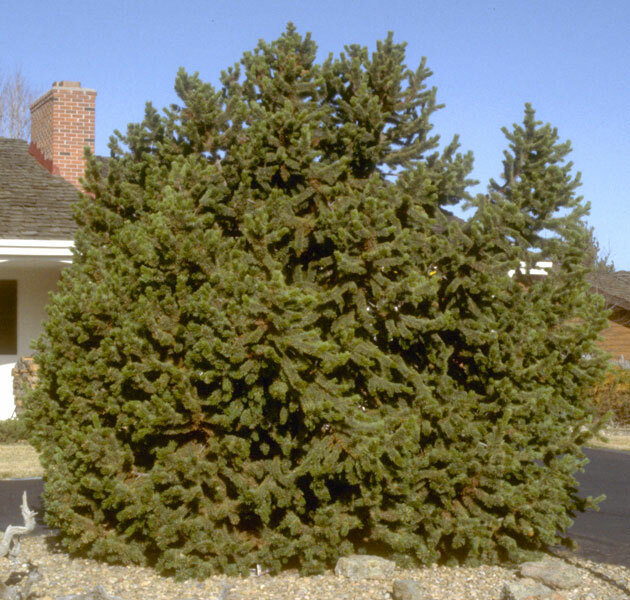 When grown in the open, however, that characteristic growth pattern disappears. Then there is side growth all the way to the ground. There are two needle per fascicle. 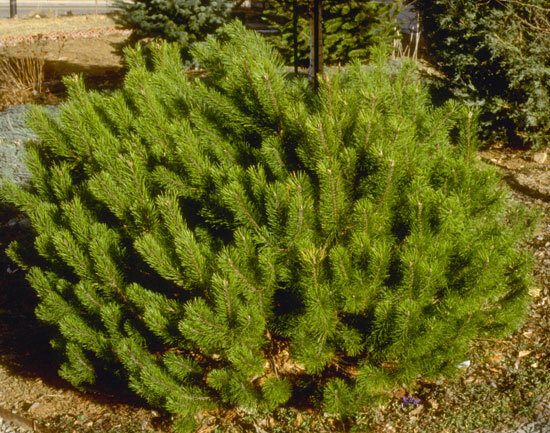 Mugho pines are multi-stem and usually grow as shrubs. 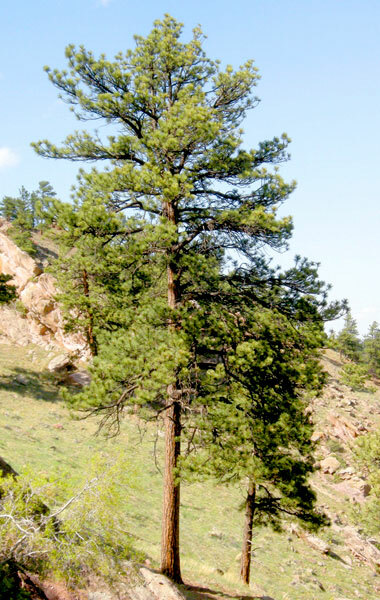 They can be 18 inches tall or thirty feet tall. 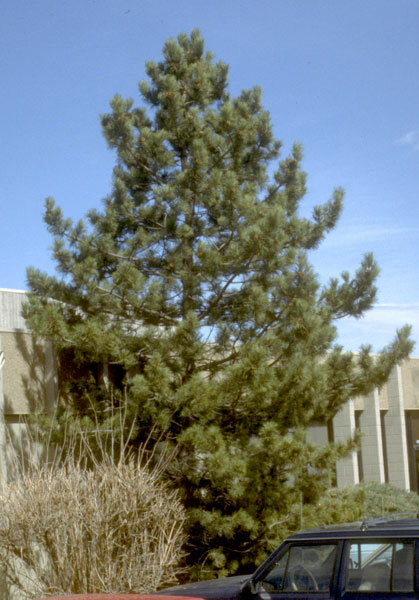 There is a mugho pine on the CU campus that is over thirty feet tall and has been pruned to single stem tree form. 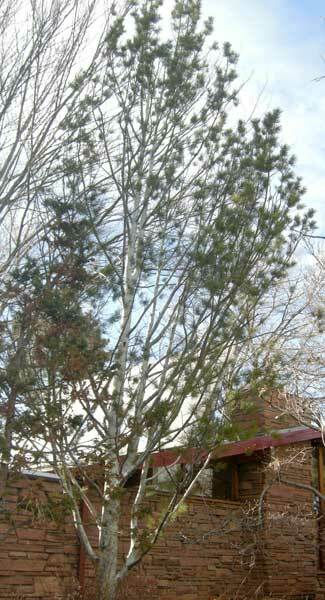 Lacebark pines are not native and are rarely seen in Colorado. 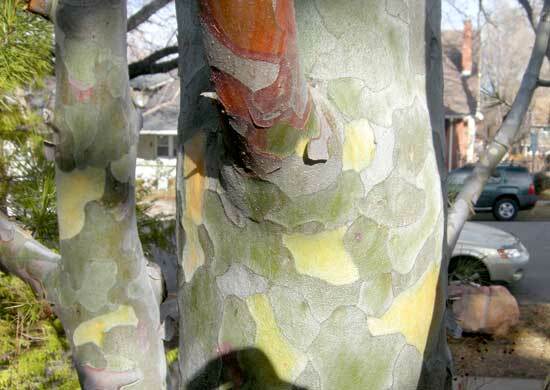 The bark is unique to pine trees and has blotches of different colors. It seems to tolerate the front range climate and could be used here more often.